Summer is here and it's time to make your plans. Me, I'll be on the shore in July, in the Berkshires in August, and in the Georgia Mountains at Tumbling Waters Resort for Atlanta's first LimmudFest over Labor Day Weekend. 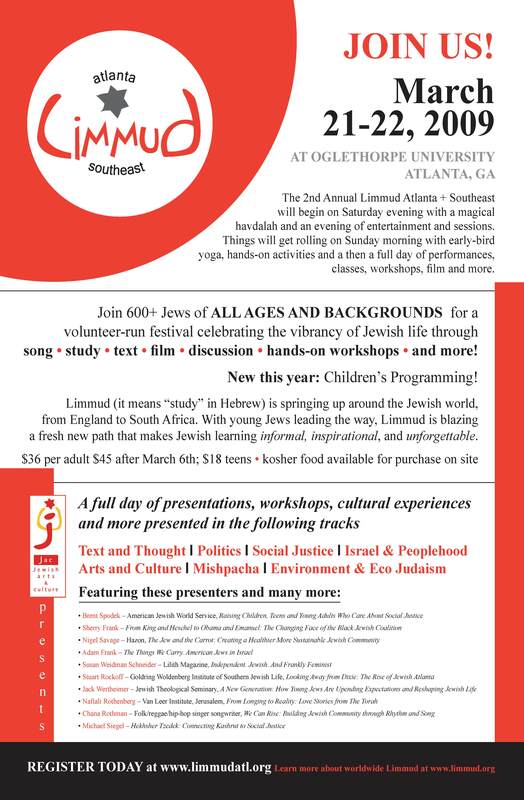 This multi-day Limmud event takes Limmud Atlanta to the next level, offering 3 full days of community, performances and learning. The resort offers comfortable cabins, lake and pool swimming, hiking, and all meals are included. See the amazing list of confirmed presenters and folks we'll be living and learning with. Richard Friedman, Professor of Jewish Studies at UGA, author of Who Wrote the Bible?